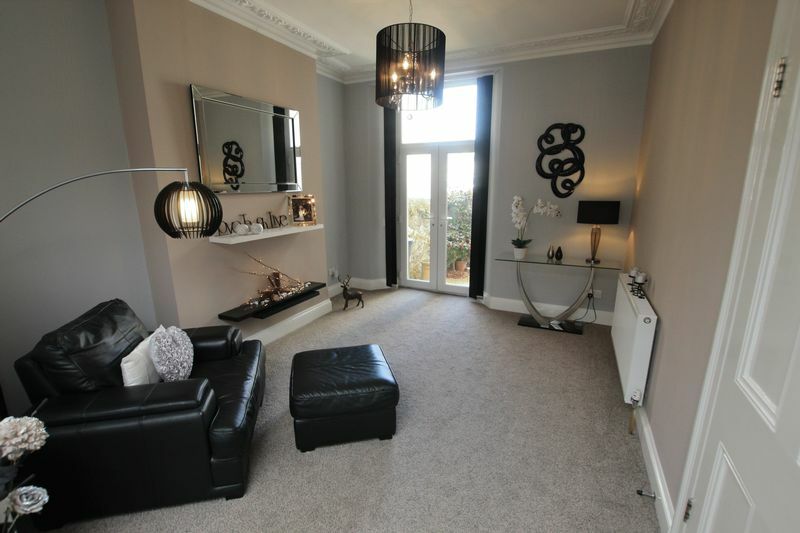 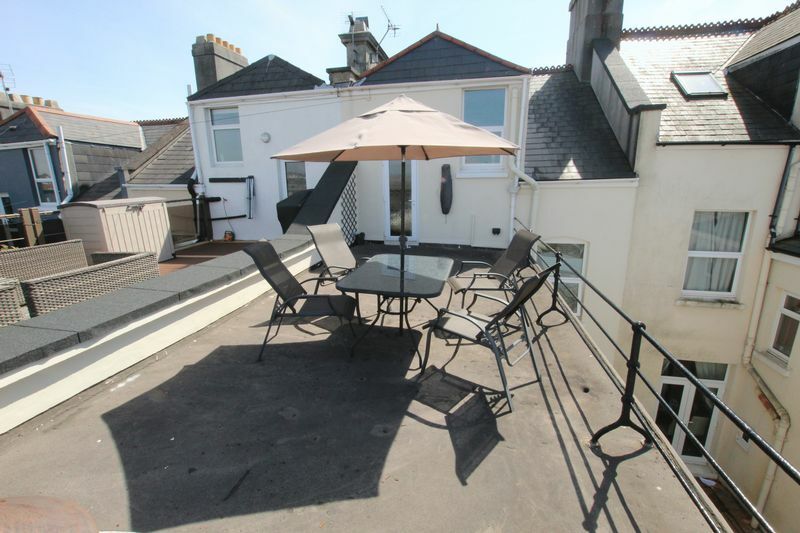 HALFORD AND HOMES 01752 418104 Guide Price 350,000 - 370,000 Halford and Homes are delighted to offer this substantial five bedroom period mid terrace home with larger then average double garage/games room and stunning roof terrace. 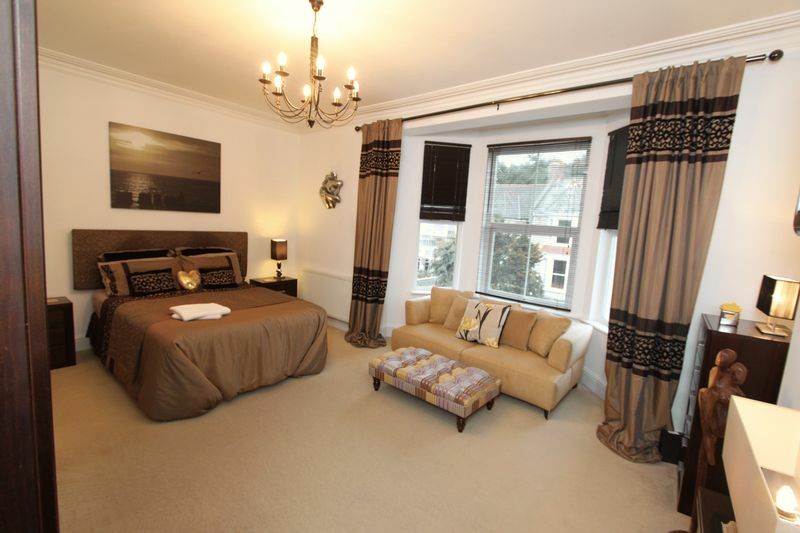 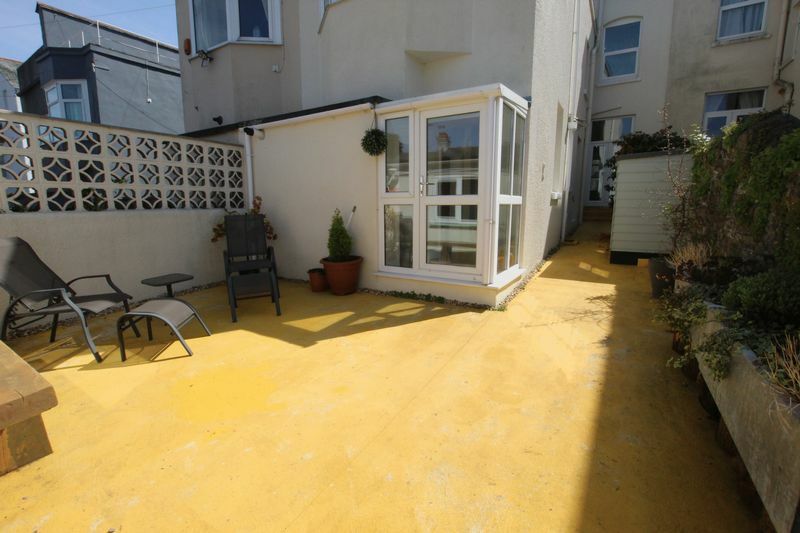 The property is a true credit to the current owners being sympathetically restored to a very high standard. 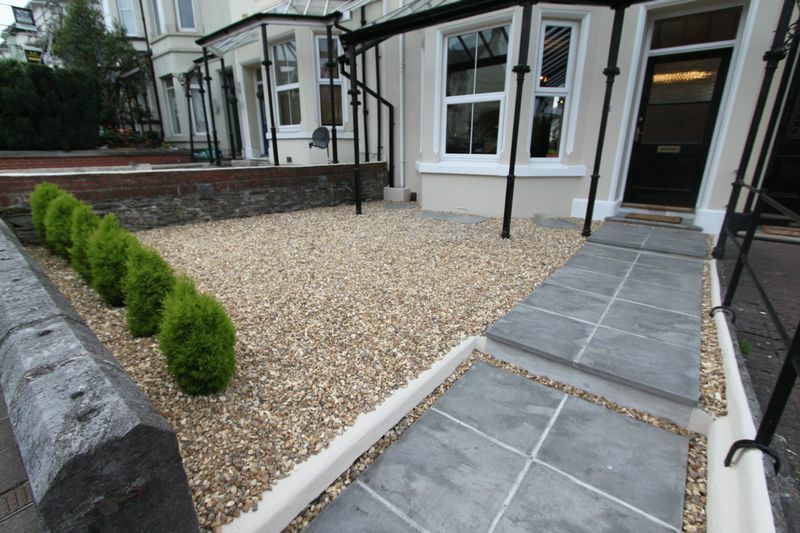 The accommodation to the ground floor briefly comprises of small wrap around front veranda leading to main entrance with spectacular entrance hallway that has been completed in high gloss ceramic tiles and access to all principle reception rooms. 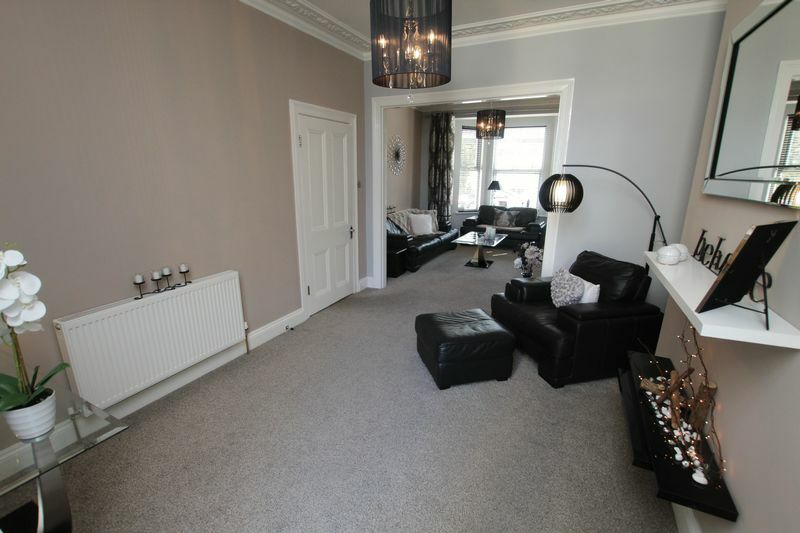 The front of the dwelling has bay fronted lounge opening into dining room and to the rear of the ground floor a modern fitted kitchen/breakfast room with French doors to rear courtyard, the ground floor also benefits from utility room and ground floor toilet. 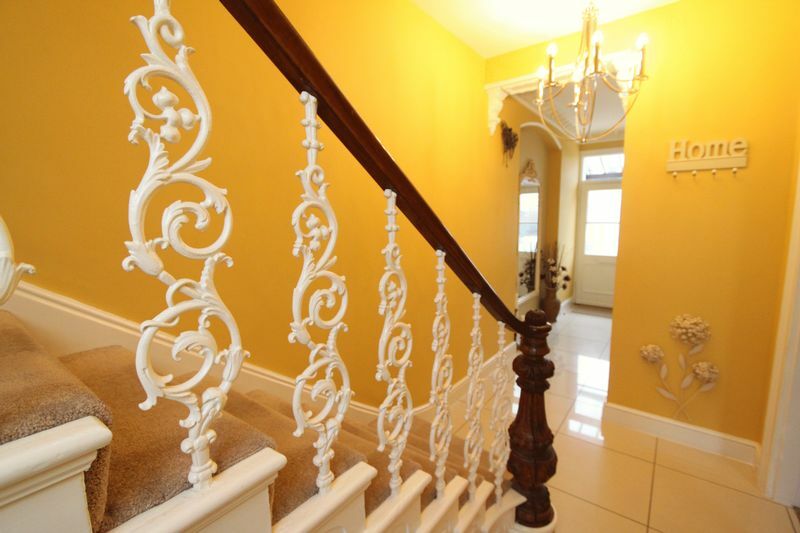 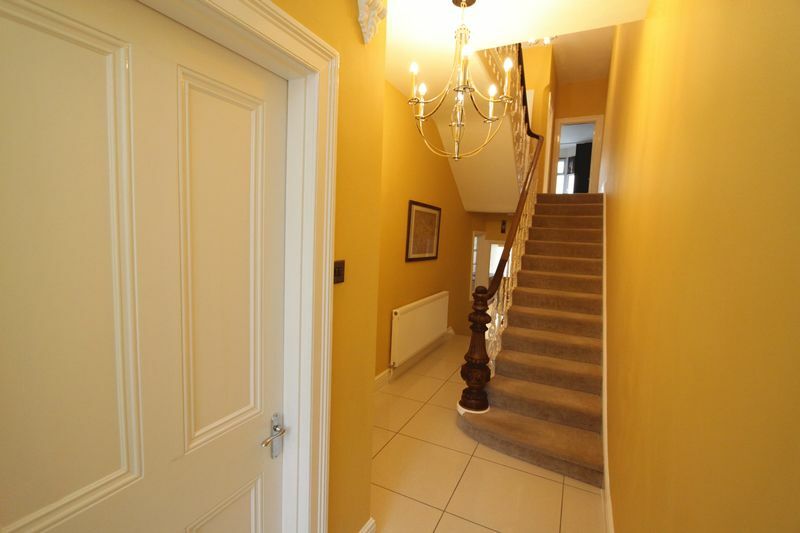 The entrance hallway has sweeping stairs with original newel post and cast iron decorative spindles leading to first floor accommodation. 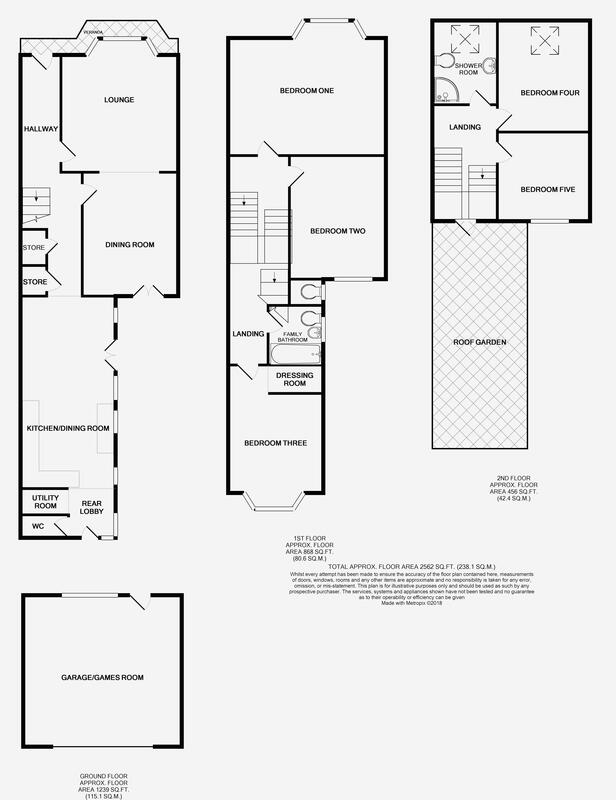 The first floor includes the master bedroom, that is the width of the main house and has bay window to the front, beyond the master bedroom is two further double bedrooms with the room to the rear including bay window and dressing room. 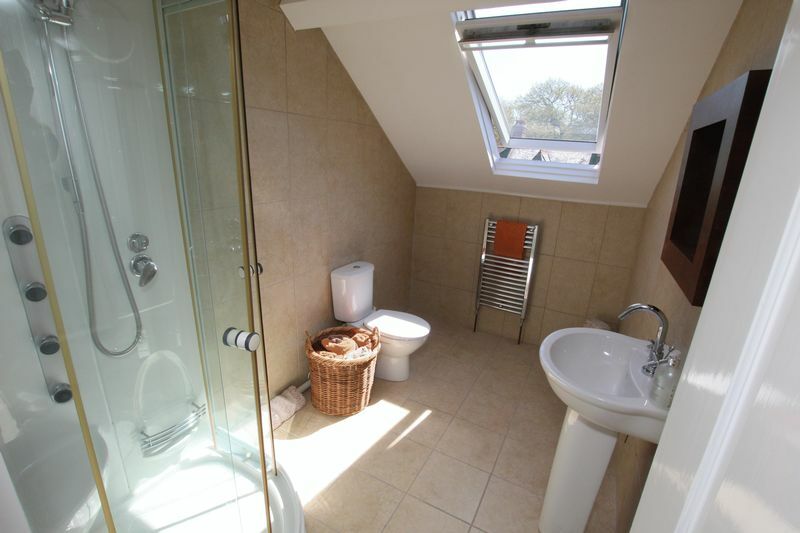 This floor also includes a separate toilet and family bathroom. 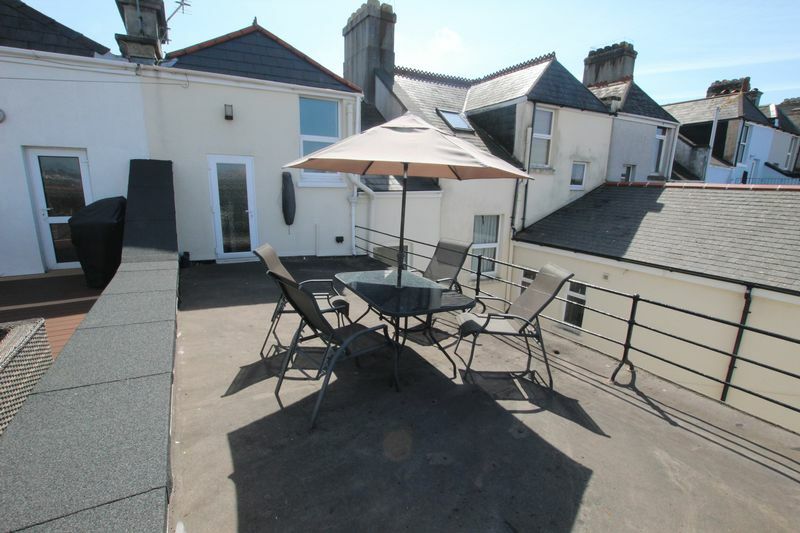 Upon the mezzanine level leading to the top floor you find a stunning roof terrace almost 30ft in length, a lovely entertaining space with roof top views over Plymouth, Central Park and Cornwall beyond. 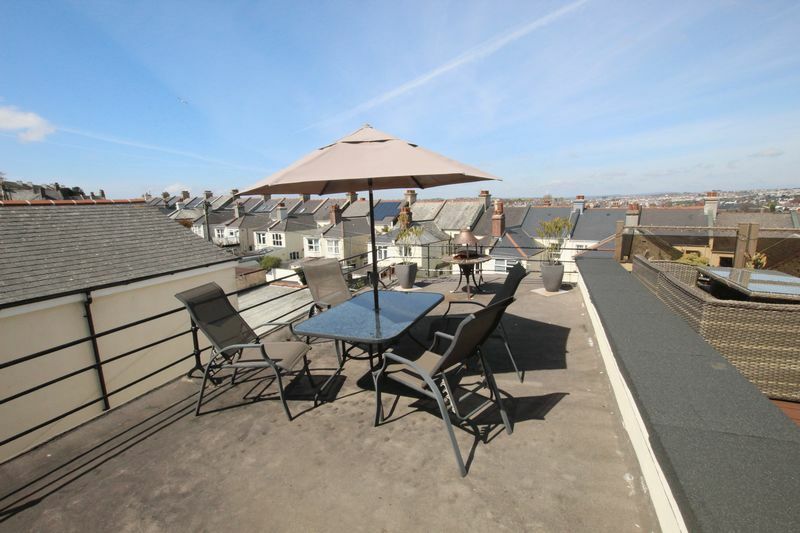 The owners inform Halford and Homes the Sunsets can be simply breathtaking from this roof space. 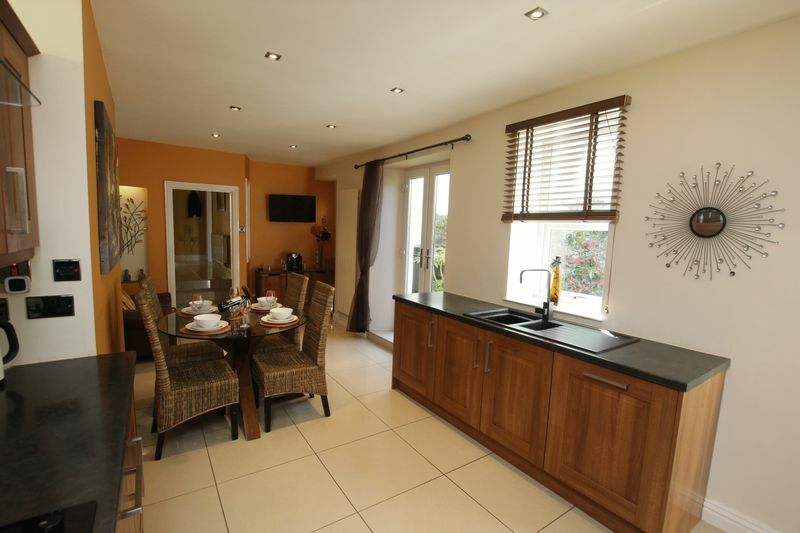 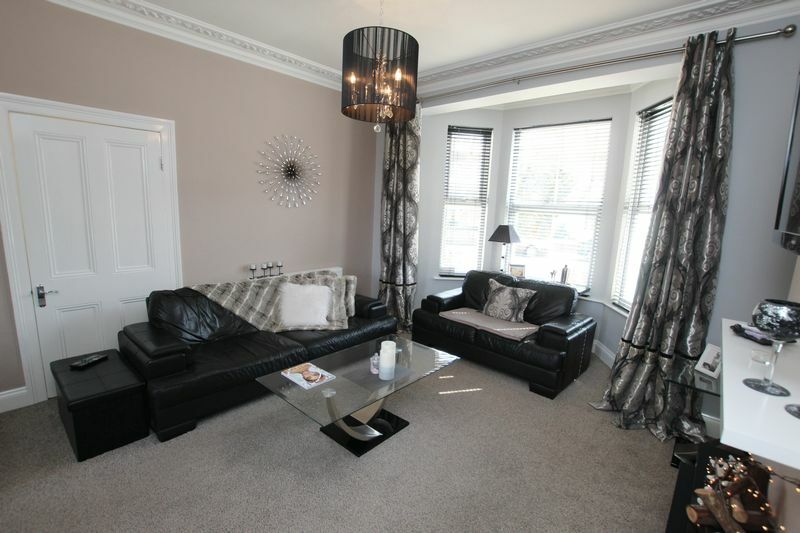 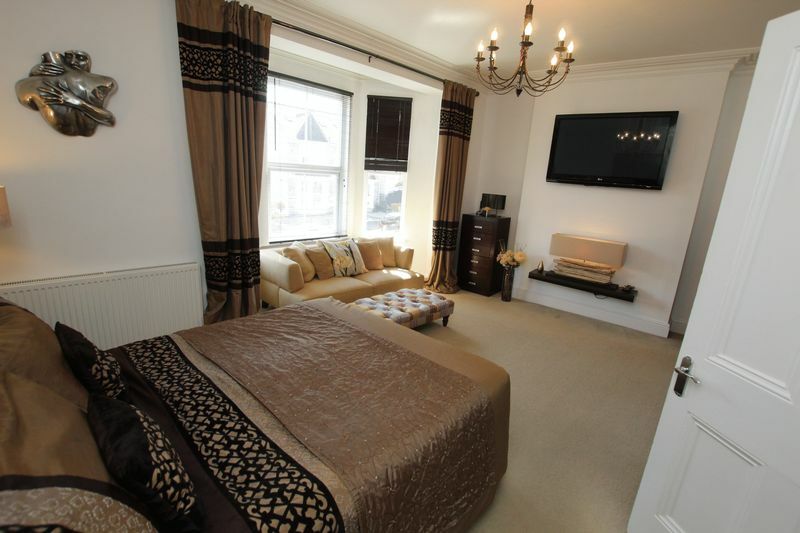 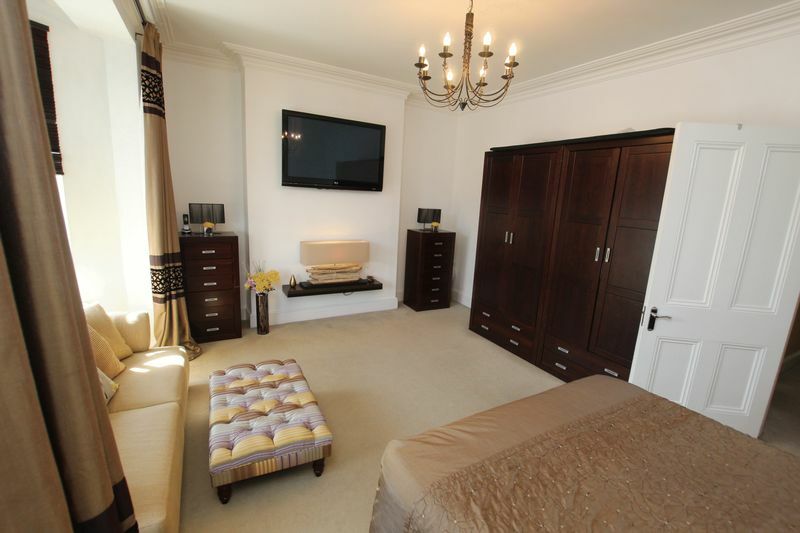 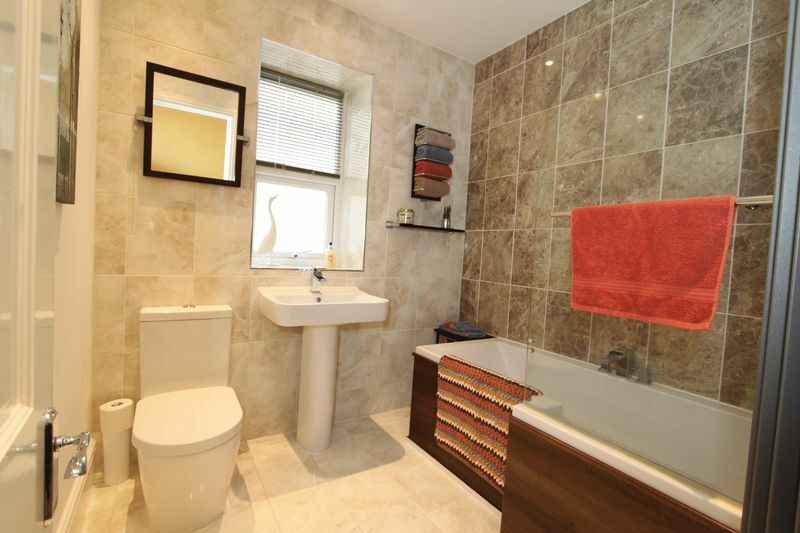 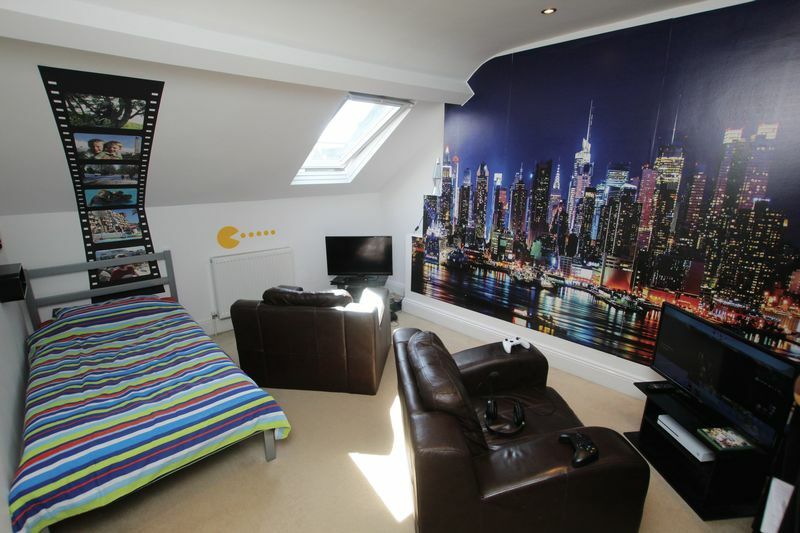 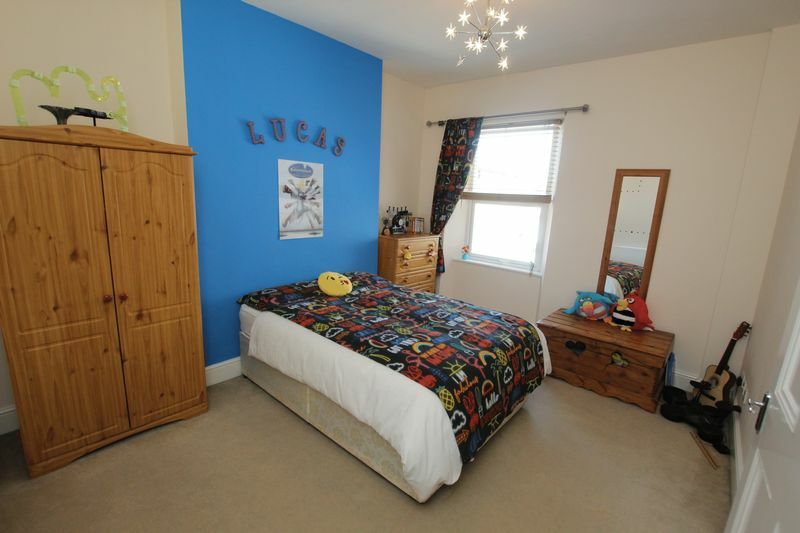 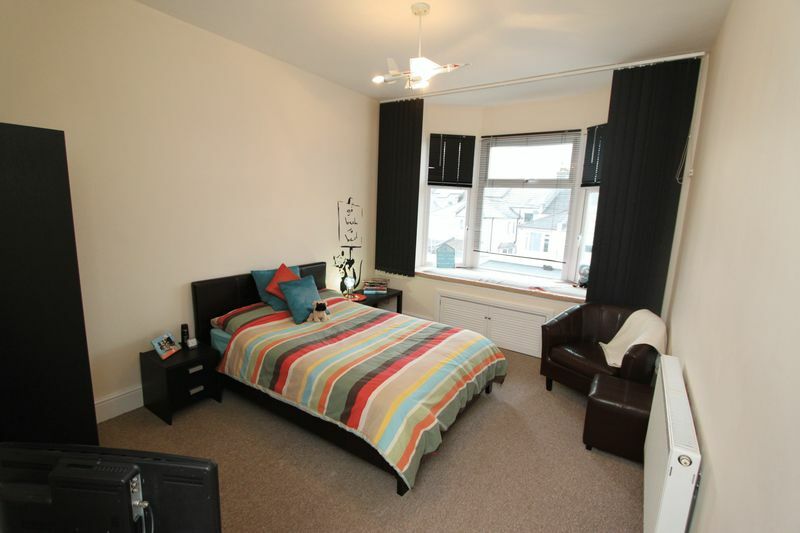 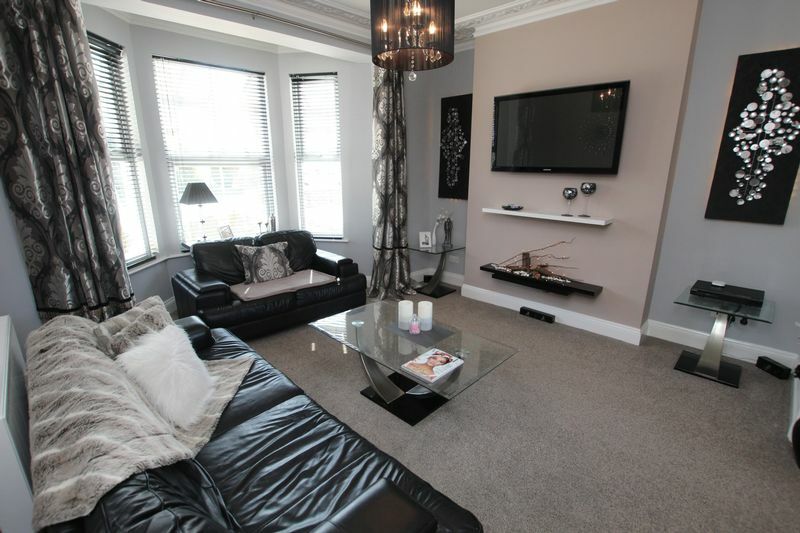 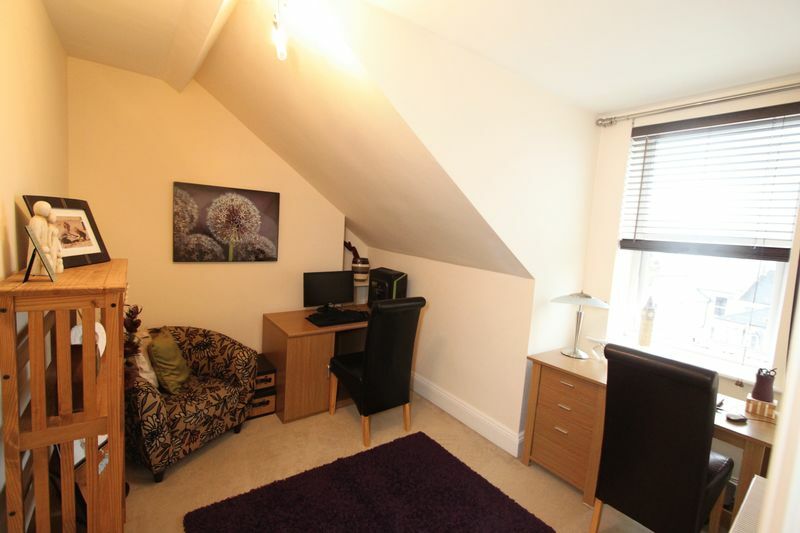 The top floor comprises of two further double bedrooms currently arranged as a games room and twin office and further shower room include toilet and sink. 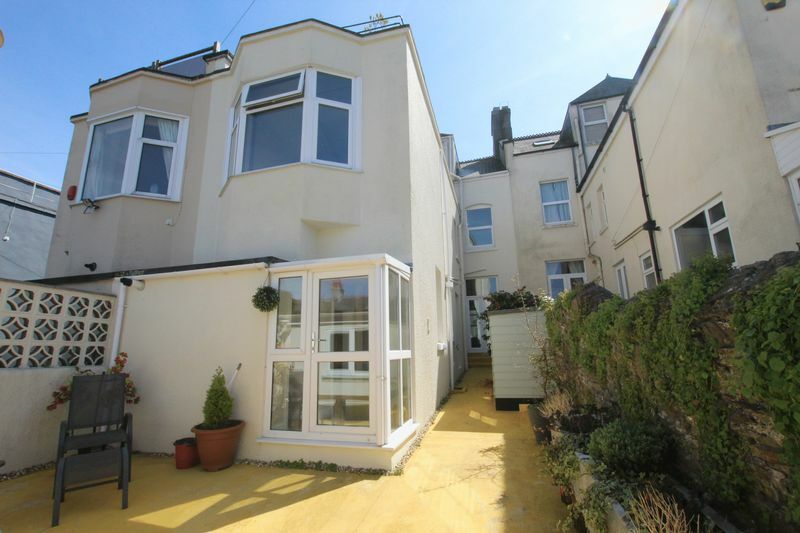 The front of the property is accessed by a low maintenance front garden whilst the rear garden has boarders and also retains a low level rear courtyard with access to the double garage. 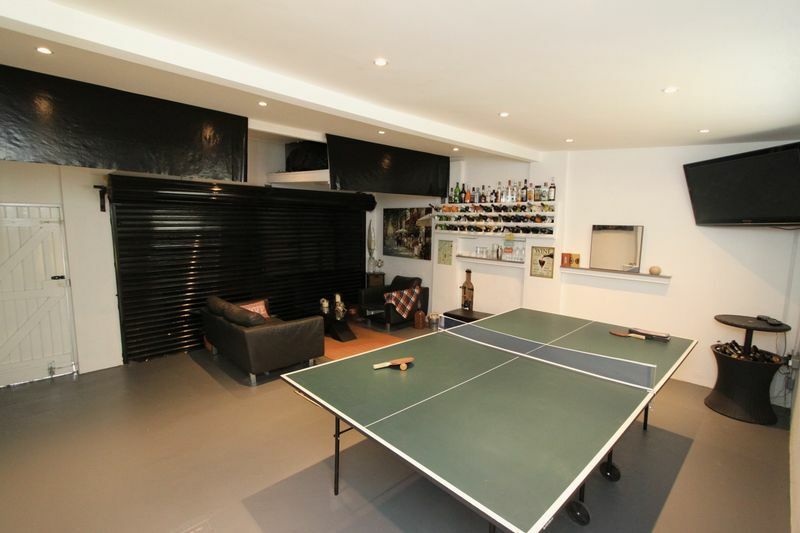 The garage has been re-rendered to the front with roller door and internally has been plastered and painted creating another entertaining space currently arranged as a games room with mini bar and lounging area. 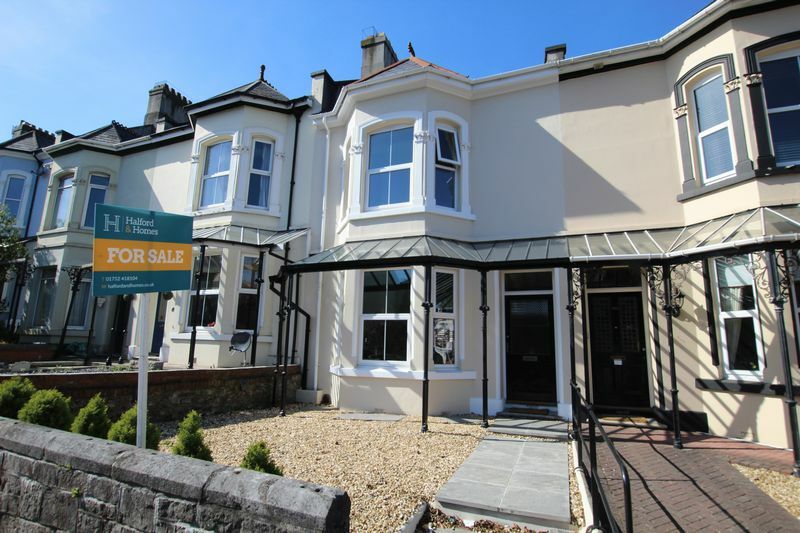 Located on Milehouse Road, Stoke Village is just a short walk from the property and enjoys many local convenient shops, restaurants and public houses, furthermore Plymouths Life Centre is located a short walk with ease of access to Central Park and Plymouth City Centre. 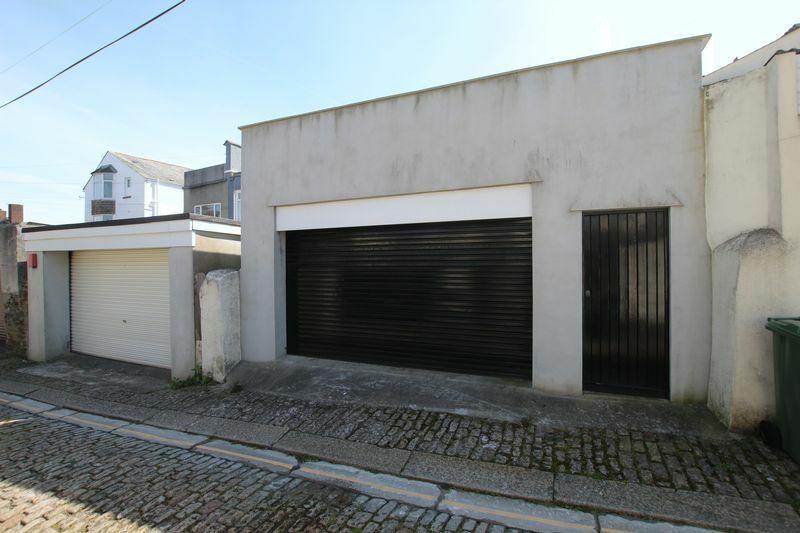 This property is a unique opportunity to purchase a very well renovated period home with large garage, numerous reception spaces and large roof terrace. 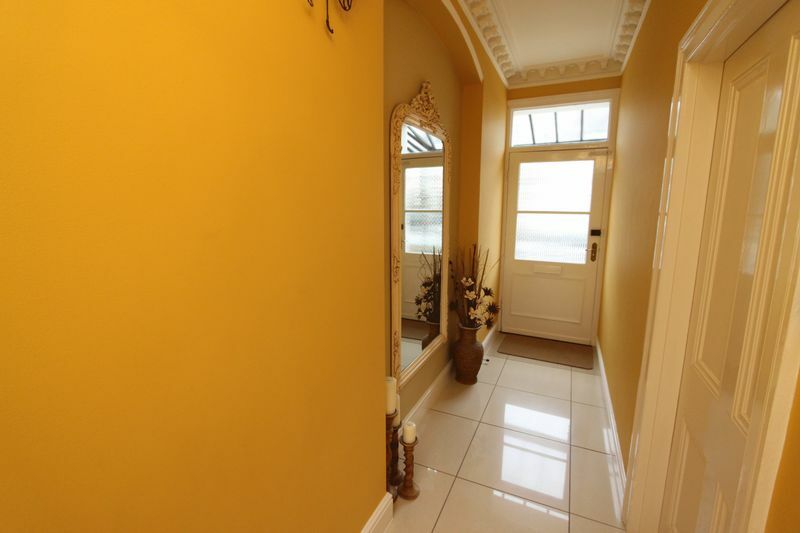 We strongly recommend an internal viewing to fully appreciate the size and standard of accommodation available at this home. 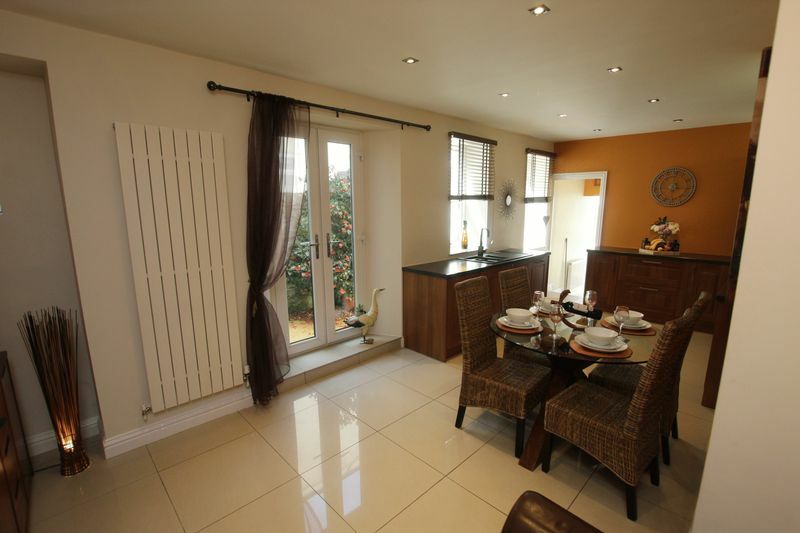 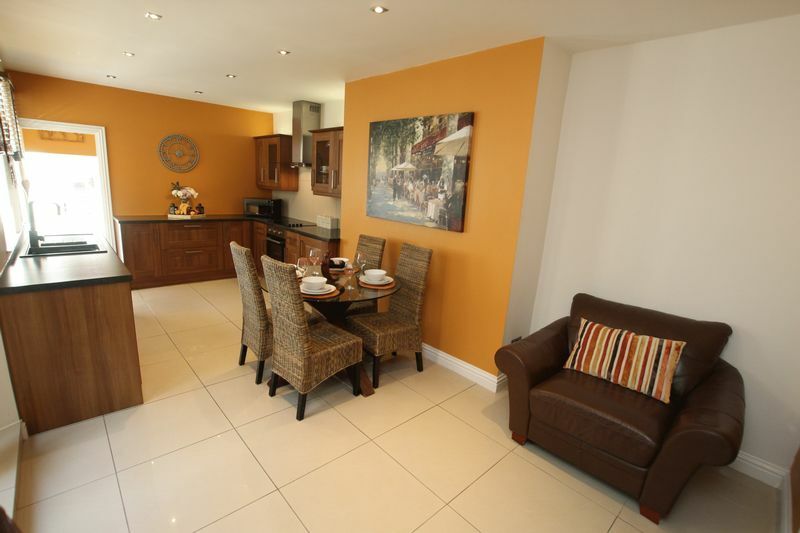 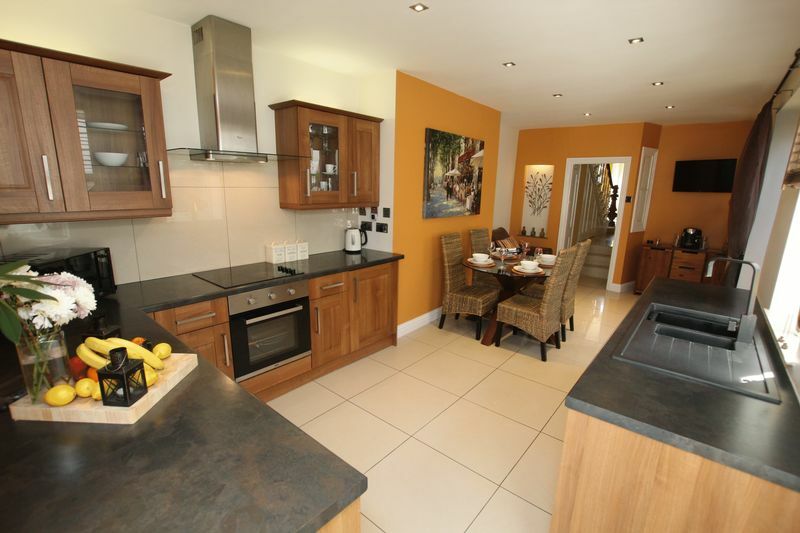 Please call Halford and Homes on 01752 418104 to arrange a viewing.